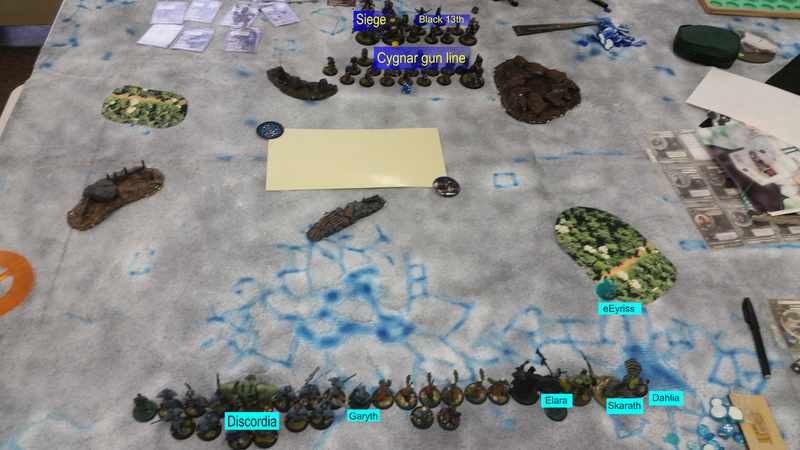 Retribution of Cyryst: Garyth vs Cygnar, Siege. Battle report. Discordia advances and imprints, standing close enough for the Sentinels to come up and benefit from the imprint. 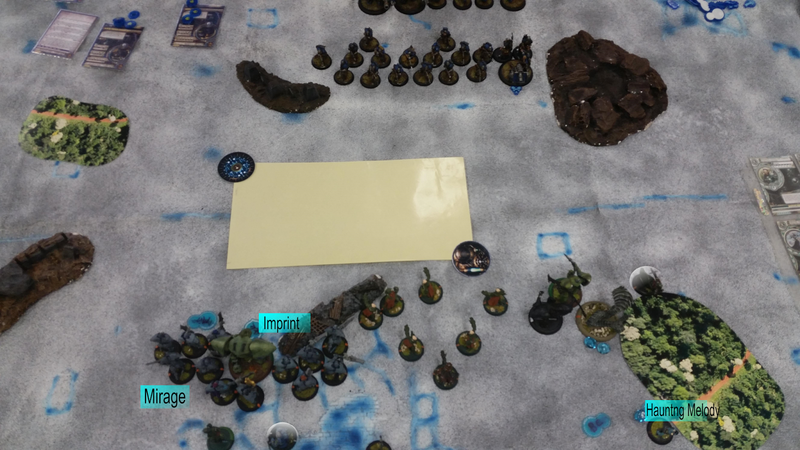 Dalia full advances and casts Haunting Melody, Skarath runs and riles for 1. 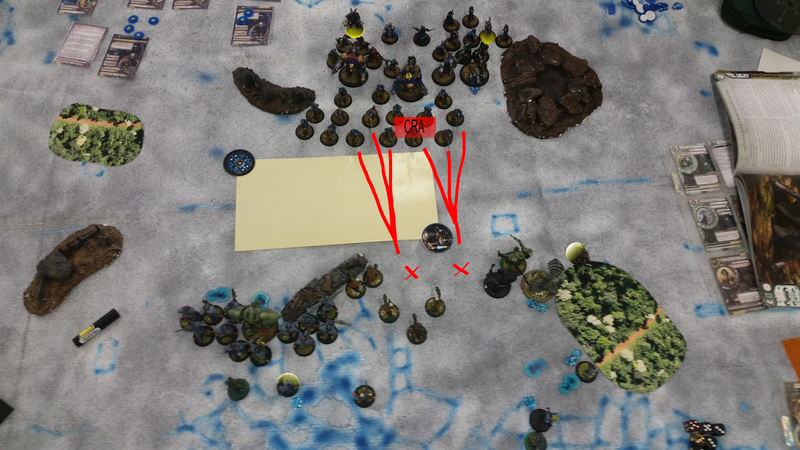 Garyth advances and puts Mirage on the Sentinels. His entire army advances. I dont really know siege as much as I dont really know Cygnar. Journeyman Defenders Wards the Trenchers. Trenchers at the vanguard combine and kill 2 Battle mages between 6 of them. Other shots made at the Battle Mages behind cover miss. One of the jacks shoots Discordia for some damage. Elara gives black Griffon 1 focus and green Griffon 2 focus. The best way to deal with a gun line is by jamming it. Sylys gives Garyth Arcane Secrets. Garyth advances to the wall. I was actually pretty terrified of what I thought siege could do and generally imagined this as a terrible match up for me. 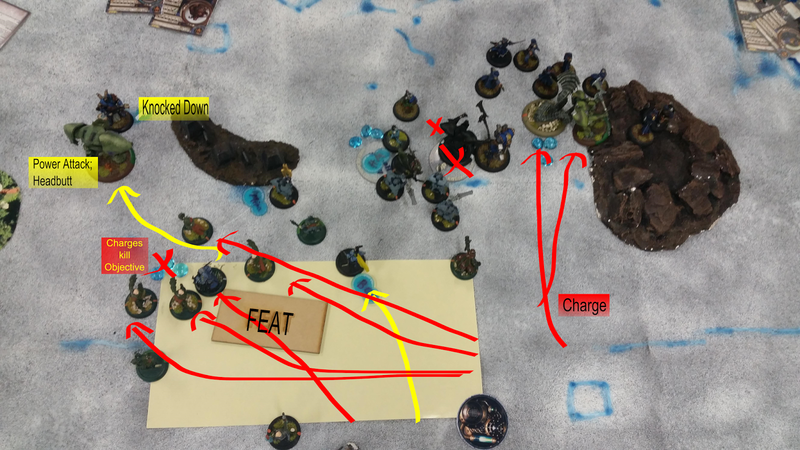 This is why I didn't rush out and feat sooner but let Eyriss run interference. 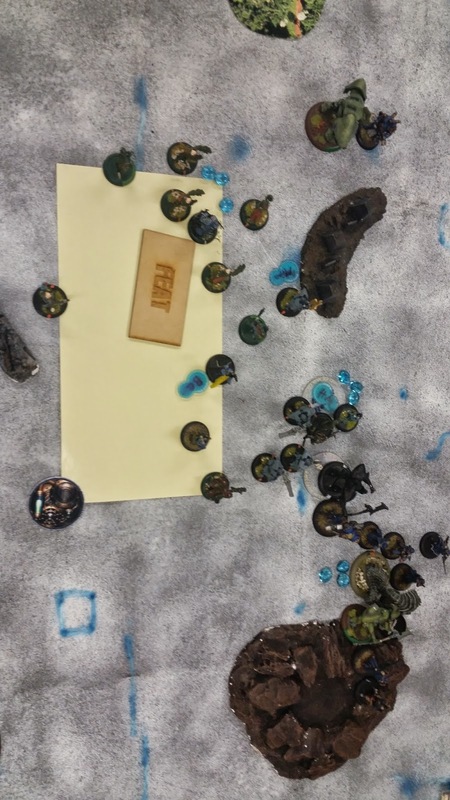 Casts Death Sentence on the trenchers and shoots 2 with his hand guns. Arcanist gives Discordia 1 focus. Discordia advances, Imprints and then sprays down about 4 using Death Sentence to ensure accuracy. Skarath advances and sprays down 3 Trenchers, boosting to hit. 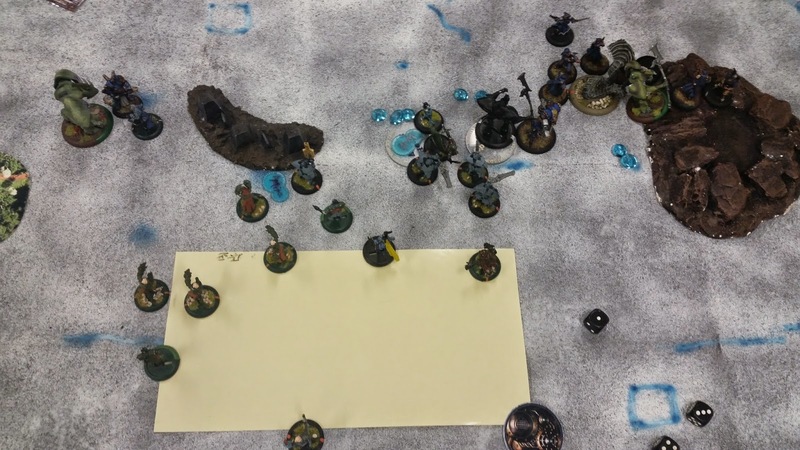 Artificer advances and gives Black Griffon a Focus. Black Griffon runs and engages Jacks and more Swans. 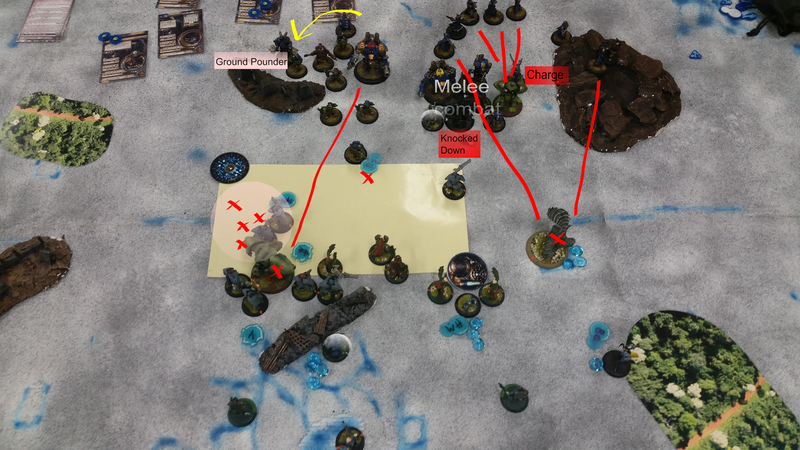 Battle Mages advance and kill a Trencher each. 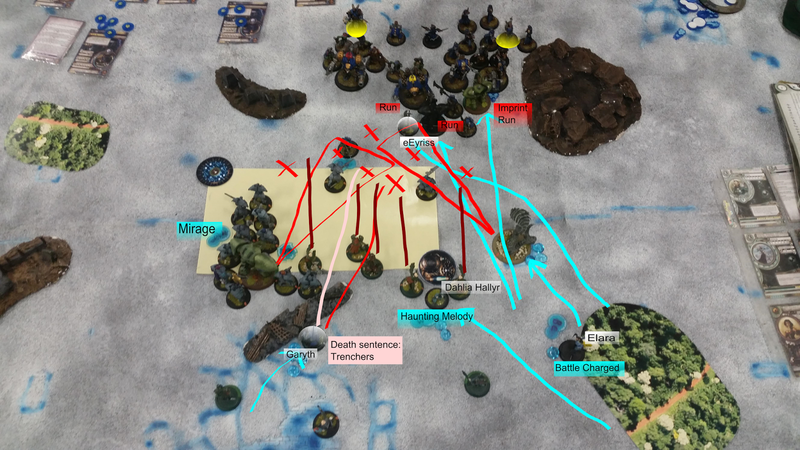 Sentinels get a run charge, 2 hit the front line and kill 2 more Trenchers while the rest huddle around Discordia. eEyriss runs through the gap that is now created, she positions in a spot which gives Technological Interference with all of his Jacks. Engage in melee combat with the Griffons. What he didn't do but I thought he could or should have. Achieve anything useful in general. Sentinels sweep up the flank killing the jack. 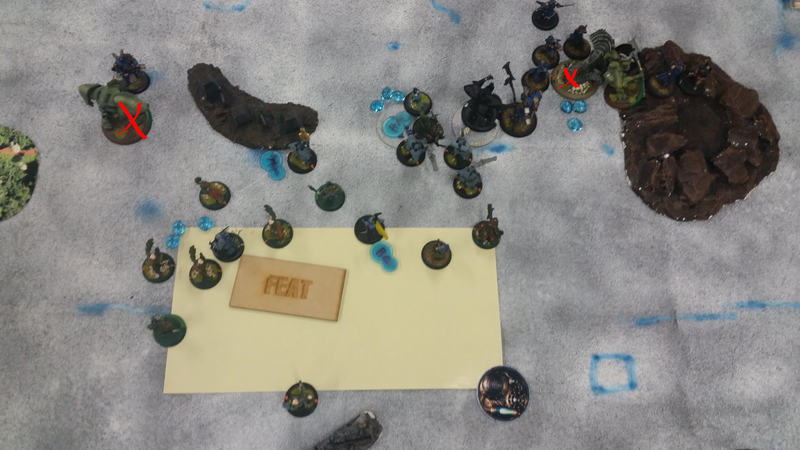 Garyth death sentenced the mechanics and shot a couple. Ground pounded more Sentinels to dust. Shot the Griffon with push back rounds out of combat and down the table. Left his caster far enough away that Garyth cant charge him. 3 control points for Retribution. What Garyth has been afraid of all this time. I don't really know what siege does but I had a suspicion if he feated and hit Garyth with a Ground Pounder or something like it he was dead, very likely dead. I probably could have gone for the kill but. Green Griffon does the same. Garyth charges the objective and finishes it off. Sentinels and black Griffon mop up in center. First lesson in the assassination game. Knock them down, if you have any way of doing it then use it. I could have given Discordia 2 and made sure he knocked Siege to the ground but I didn't. Garyth charging has 8 melee attacks, at mat 8 and arcane assassin you would think this is a sure thing. 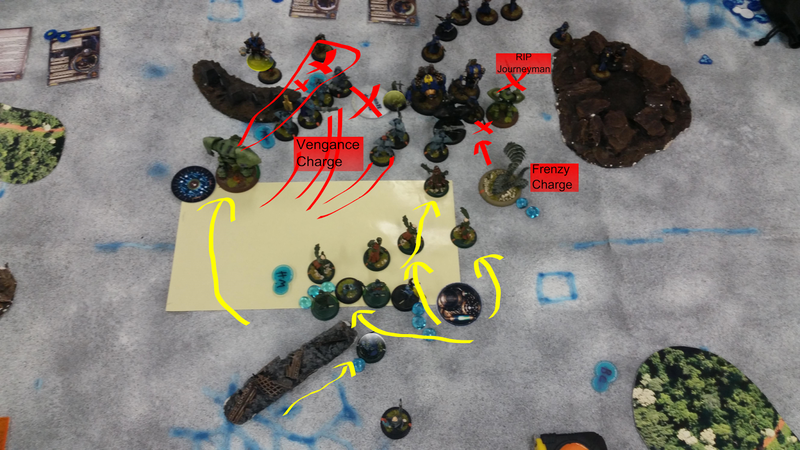 Garyth charged Siege, hit with first attack rolled below 6 damage on 4 dice. The dice gods saw fit to remind me in the first lesson of assassination and let me kill Siege with only my final 2 attacks. 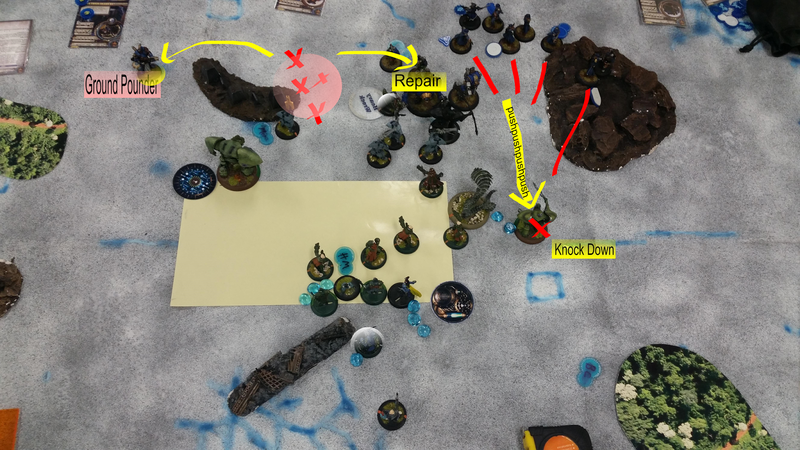 Retribution win on assassination and 4 control points. I should keep a tally of all the casters Garyth kills so I can be extra douche.